Gutters are one of the most high-maintenance parts of a home, requiring regular cleanings in order to function properly. Worse yet, cleaning them requires climbing a ladder, sometimes to rather scary heights. According to the American Academy of Orthopedic Surgeons, 500,000 people are treated every year for ladder-related accidents and 300 of those accidents are fatal. While cleaning gutters is important, falling from a ladder is just not worth the risk. That’s where LeafGuard gutters come in — the low-maintenance alternative to traditional gutters. Why it’s low-maintenance: LeafGuard gutters are guaranteed not to clog, so you’ll never have to clean them. 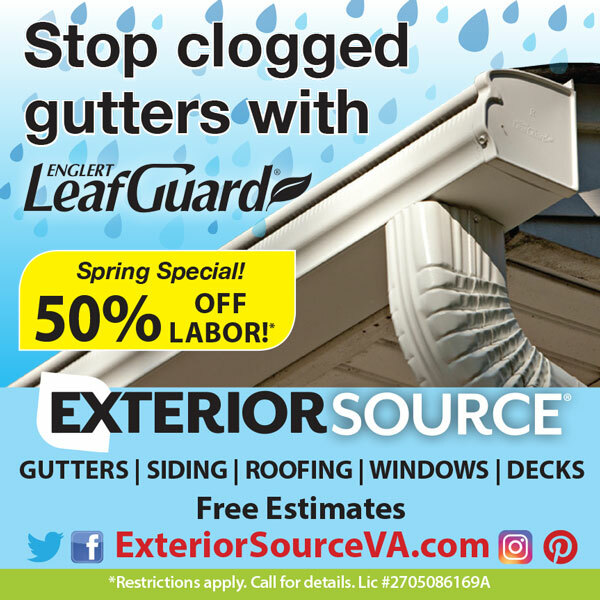 If LeafGuard gutters clog, we’ll clean them for free! The unique hood-covered trough, allows leaves and other debris to roll off, while water flows in. Made with heavy duty aluminum that is 20% thicker than the industry standard, LeafGuard can withstand even the harshest rains. Its ScratchGuard finish prevents cracking, chipping, or peeling and is backed by a warranty for the life of your gutter. Depending on the type of siding your home has, it can rot, crack, puncture, or fade over time. In some cases, heavy winds can pull the siding off or leave it sagging in areas. Annual cleanings are necessary in order to keep siding looking its best. But not with fiber-cement. This premier product makes maintenance the least of your worries. Why it’s low-maintenance: Fiber-cement siding is one of the longest-lasting siding products available on the market. It is specially engineered to be moisture, rot, and pet resistant. An added bonus is their fire-resistant quality. Fire feasts on wood and melts vinyl quickly, but fiber cement siding will not melt or add fuel to the fire. Furthermore, because of its fire resistance, you may also qualify for a discount on your homeowner’s insurance. Often found in older homes, wood windows have a certain charm to them but they also require a great deal of maintenance. If left untreated, wood will rot and warp so they often need to be painted on a regular basis. Wood frames also tend to swell due to moisture which makes it difficult to open and close them. Wood is often vulnerable to insects like termites – the last thing a homeowner wants anywhere near their home. Vinyl replacement windows are a great option for homeowners who want less maintenance and more energy-efficiency. Why it’s low-maintenance: Vinyl windows are one of the best investments you can make in your home. According to the Remodeling Impact Report, homeowners can recoup up to 80% of the project cost in terms of added home value. Their longevity and energy efficiency make replacement windows an attractive addition to any home. Designed to keep your home comfortable no matter the season, vinyl windows eliminate the need for regular painting. The glass is coated with a low-emissivity (Low E) coating that keeps heat out in the summer and warm air inside during the winter. This means that you won’t have to crank up the AC in the dead of summer, or the heat when it’s bitterly cold outside. It also has ultraviolet protection, allowing you to enjoy the daylight without worrying about it fading your furniture, carpet or paint job. A deck can be a wonderfully fun addition to your backyard, but not if its chipping, cracking, or changing color. Wood decks need regular upkeep to prevent them from rotting and no one wants to spend time maintaining a deck when they could be relaxing! 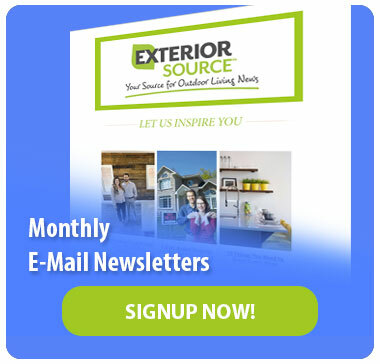 At Exterior Source, we offer decks with premium composite decking. 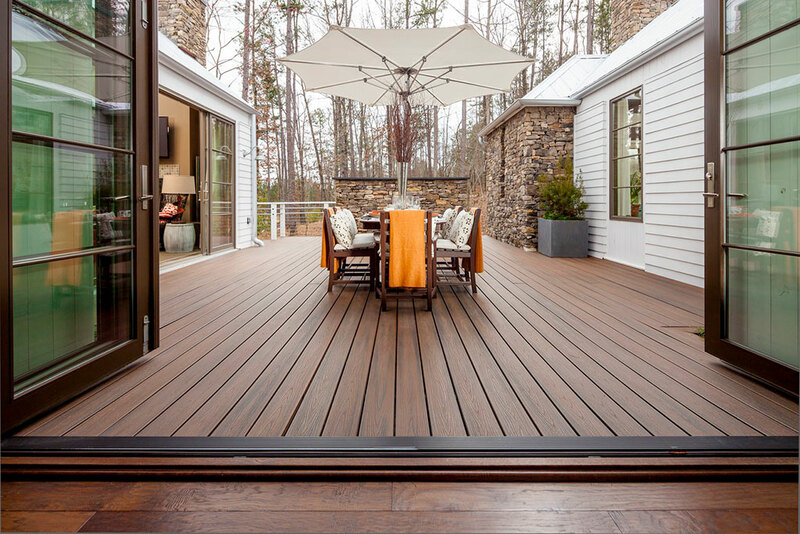 Why it’s low-maintenance: Unlike wood, composite decking requires no resealing, painting or staining. It comes in a variety of options, many of which have the unmistakable look of exotic hardwood, but without any of the maintenance. Composite decking is designed to retain its looks with minimal cleaning, using only mild soap and water. With a quality topcoat, composite decking has exceptional resistance to UV light and color fade, so you can enjoy it for many summers without worrying about weathering.